BRANDON, S.D. — As Badlands Motor Speedway continues its search for a new ownership group, track officials confirmed Tuesday that six special events will take place at the three-eighths-mile track this year. The condensed schedule opens with the Folkens Brothers $100,000 Silver Shootout on Saturday, May 13. Last year’s Silver Shootout, won by North Dakota’s Mark Dobmeier, opened the Badlands Motor Speedway era. At the time it was the highest-paying automobile race in the history of South Dakota. The Folkens Brothers $100,000 Silver Shootout will again be paid out in 10-ounce Silver Bars with the winner of the 410 sprint car feature to receive 75 bars ($15,000 value at time of production). The feature will award a minimum of three bars to all starters, a value of $600. The Silver Shootout will also feature the IMCA RaceSaver Sprint Cars and the Late Model Street Stocks. 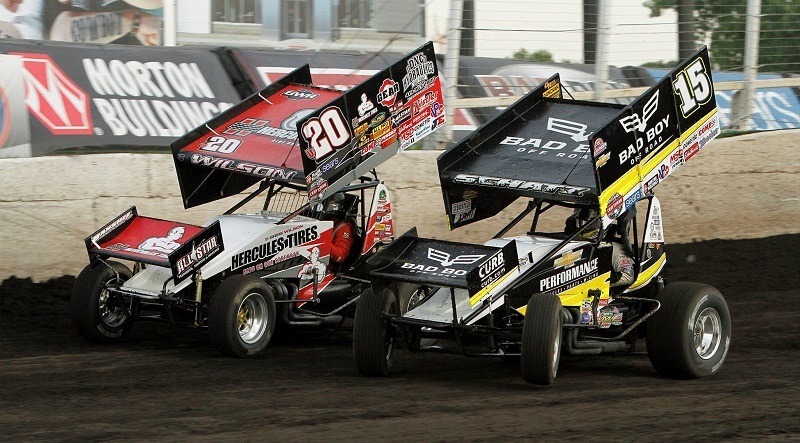 The World of Outlaws Craftsman Sprint Car Series will also make their annual return to Badlands for a two-day show on July 1-2. Last season, the World of Outlaws visited Badlands for a two-day program with Brad Sweet and Donny Schatz picking up victories. The Midwest Late Models will be the support class for both nights of racing. Late Model Mayhem will also be part of the schedule, with two dates on June 4 and Aug. 6. The Late Model Mayhem events will feature the Midwest Late Models, the Late Model Street Stocks, the USRA Hobby Stocks, USRA Stock Cars and USRA B-Modifieds. The June 4 event will still be part of the USRA Iron Man series. Badlands will also host a Huset’s Speedway Flashback Night on Sunday, Sept. 3 with a total purse of $50,000. The Flashback night will feature 410 sprint cars, 360 sprint cars and Late Model Street Stocks. The night will also feature the Huset’s Speedway Hall of Fame and the 2017 class will be inducted at intermission.